Meetings are an inevitable part of any business or organisations life. Internal meetings between staff and external meetings with clients, potential clients or prospects, stakeholders etc. are all part of daily life. Because a meeting is just gathering of two or more people at the same time for some common purpose meetings extend to telephone calls, live chats and messaging for example and these days go beyond the traditional idea of sitting in the same room together. To get information – knowing the research helps to prevent having the wool pulled over your eyes and to separate out not just the fact from the fiction but also to work out who else is evidence-based and who just believes the next thing that comes along. This is vital information to have when dealing with people. To give information – clearly being able to base or contextualise information on the latest research really helps. Presentations and position papers are always more credible and interesting based on research and properly referenced. You can see our referencing guide here. To generate ideas and opinions about an issue. Whilst brain storming or ideation (idea generation) are best to be free flowing and not at the early stages encumbered by facts and evidence, at some stage those ideas are going to have to be evaluated and turned into some form of action. It is at this stage (known as convergent thinking) that the research evidence become critical to making solid evaluations and judgements about which ideas to run with. To make decisions. Making decisions based on good solid evidence (including research evidence about how to make good decisions and what biases and problems can derail decision-making) is really vital to making a good decision. Because of the topics the Oxford Review covers (Leadership, management, organisational development and change, HR, learning and development, decision making and work psychology) there are few decisions in organisations that are not impacted or influenced by one of these areas. Understanding what the latest thinking can make a huge difference either to the decision itself or how that decision is going to be implemented. For human contact reasons such as to make people feel important and valued, give them a voice, getting feedback etc. Sharing research findings, briefings and infographics is a great connector. This is particularly the case if you ask their opinion about it. So questions like, “I was sent this research briefing, what do you think?” or “ Have a look at this, do you think we could do something like this here” or “Would this be valuable / useful to your team?” etc. Ad-hoc meeting, a meeting called for a special purpose. Not only are their some interesting briefings about holding meetings and leadership / management of meetings, there are briefings about project and knowledge management and a whole host of other useful topics you can use during meetings including persuasion techniques etc. Away-days, which tend to take place off-site and away from the participants’ regular surroundings. 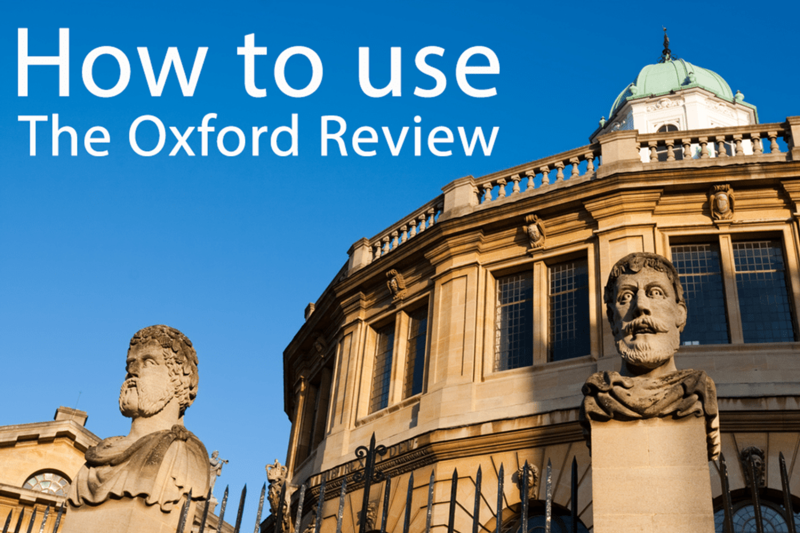 Away-days are ideal for using The Oxford Review briefings to get informed and evidence-based discussions going around a topic. Away-days are also great places to introduce a new concept like ‘the ambidextrous organisation’ or developing ‘self-efficacy’ for example. Then of course there are all the research briefings about leadership, management and organisational development and change that boards should really be up-to-date on. Breakfast meetings. Breakfast meetings can be a good way to start the day, but not always. Just understanding how best to run and manage these helps. Additionally The Oxford Review Research Briefings cover a whole range of useful topics around leadership, management, organisational development and change, HRM, organisational learning, coaching (a very useful set of skills for meetings), work psychology and importantly decision makingthat can inform your meetings make them more productive and evidence-based. Pre-Bid Meeting, a meeting of various competitors and or contractors to visually inspect a jobsite for a future project. The meeting is normally hosted by the future customer or engineer who wrote the project specification to ensure all bidders are aware of the details and services expected of them. Attendance at a Pre-Bid Meeting may be mandatory. Failure to attend usually[quantify] results in a rejected bid. Stand-up meeting, a meeting with attendees typically standing. The discomfort of standing for long periods helps to keep the meetings short.